When you arrive for your appointment, make sure to have all pets on a leash or in a carrier. When possible, it’s wise to carry un-vaccinated puppies across the parking lot and into the clinic. It’s also a good idea to carry pets (when weight allows) across the hot pavement in the summer. 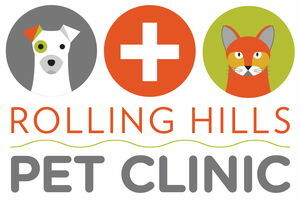 If you need assistance getting your pets into the clinic, please let our staff know. Once inside the clinic, you will be greeted by our great front desk staff. Your pet will be weighed (very small dogs and cats will be weighed on a baby scale in the exam room by a technician) and you and your pet will be put in an exam room. You will be asked to complete our New Client Information form. To make things easier, the form can be printed from this website and you can have it filled out prior to your arrival. Please make sure to bring any records and vaccine information from previous veterinarian visits with you (or arrange to have them faxed to the clinic: 520-790-7196). If you adopted your pet from a rescue agency, make sure to bring copies of your adoption documents. Our reception staff will make copies of these records and add them to your pet’s new medical record. For faster check-in, please print our Client Information Form, fill it in at home and bring it to your first visit. A technician will come into the exam room and take your pet’s temperature and check heart and respiratory rates. The technician will also ask you questions about your pet’s general health and well-being such as how he is doing at home, what his eating habits are, what concerns you have, etc. The technician will leave the exam room to share this pre-examination information with the veterinarian. The heart and lungs to detect any heart murmurs, irregular heart rhythm or harsh lung sounds. The veterinarian will discuss and recommend treatment, vaccinations, diagnostic tests such as x-rays or laboratory work they feel is best for your pet. The veterinarian or technician will prepare and go over an estimate with you prior to doing any additional treatments. Join our Healthy Paws Crew for Rewards you can use towards your Pet's Health. Become a VIP member for DOUBLE the rewards points. At the end of the visit, your veterinarian will let you know when you should bring your pet back for any necessary follow-up care or booster vaccinations. You can schedule any future appointments with the front desk when you check out. Payment is expected at time of services rendered. Payment options are Visa, MasterCard, Discover Card, Debit Cards, Money Order, Cashier’s Check, and Cash. Convenient financing is also available in most cases through Care Credit. You can log onto their website ahead of time for pre-approval at www.carecredit.com.